Many times when homeowners decide to get new doors and windows in Naperville, they are strictly thinking about it from an economical perspective. The goal is to make replacements to improve energy efficiency. However, this is not the only benefit. In fact, it may be argued that it is not even the best benefit. New doors and windows in Naperville can actually change the overall look of your home and boost curbside appeal, which in turn may add value to your home. This is amazing if you are thinking of selling soon or sometime down the road. It is pretty nice how just a new front door and a bay window addition can transform your home from boring to stunning, but that is exactly how it works. When you are shopping for windows and doors, make sure that you think about the overall look of your home. You want to make sure that you are choosing pieces that match your homes style. It would be odd to have a fancy, over the top door on a modest colonial style home, for example. You want to be sure that whatever you choose will highlight your homes natural beauty and accent its existing style. You may not be sure when it is time to do replacements. A good idea is to replace doors and windows that are old and look worn. 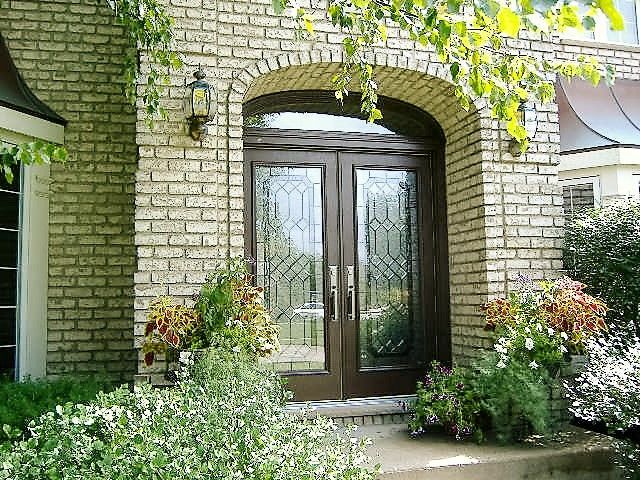 You especially want a front door that is polished looking and inviting. If, for instance, the door has broken panes of glass, then it is likely time to replace it. In addition, something that does not work properly, like a window that would not stay open, needs replaced. Getting new doors and windows in Naperville is not just about increasing your homes energy efficiency. You also have to think about how it will boost your homes aesthetic appeal. This is a great benefit that improves your homes look and may even increase your homes value.